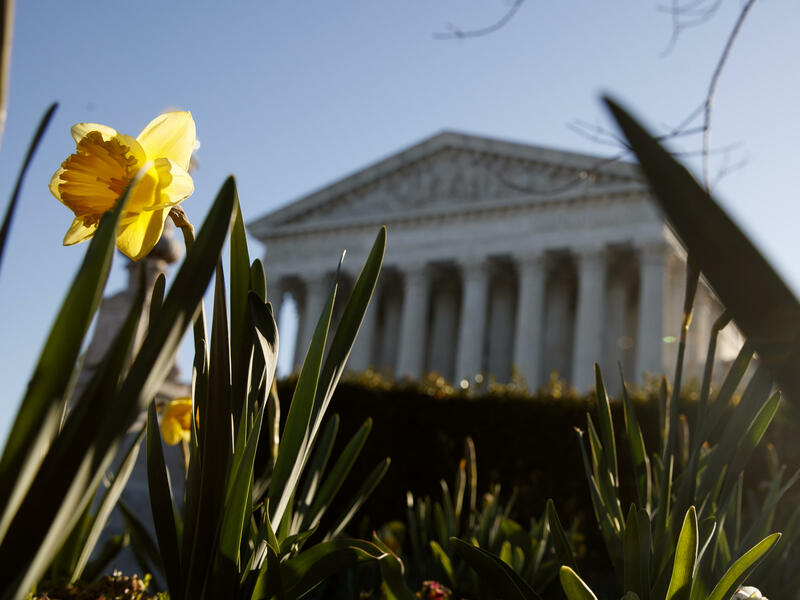 The U.S. Supreme Court on Thursday stayed the execution of a Buddhist inmate in Texas. This case is in contrast to a similar case last month, in which the high court permitted the execution of a Muslim inmate who couldn't have his imam with him at the moment of death. The court provided no explanation for the different result. Legal scholars said the new decision sends a message that religious discrimination by government officials is never acceptable — and it might be a way for the court to deal with the criticism it faced after it let the Muslim inmate die. "As this Court has repeatedly held, governmental discrimination against religion — in particular, discrimination against religious persons, religious organizations, and religious speech — violates the Constitution," Justice Brett Kavanaugh wrote in a concurring opinion. "The government may not discriminate against religion generally or against particular religious denominations." This undated photo provided by the Texas Department of Criminal Justice shows Patrick Murphy, a member of the "Texas 7." Patrick Murphy was serving 50 years for aggravated sexual assault when, in 2000, he became part of the "Texas 7" — a group of seven inmates who broke out of a maximum security prison southeast of San Antonio. While on the lam, the men robbed a sporting goods store on Christmas Eve. Responding police officer Aubrey Hawkins was shot and killed. Murphy, acting as a lookout in the getaway vehicle, was convicted of capital murder and sentenced to death. While on death row, Murphy became an adherent of a practice known as Pure Land Buddhism. In a brief to Texas' highest criminal court, his attorneys explained why Murphy wanted his Buddhist priest with him. "Murphy's belief is that he needs to focus on the Buddha at the time of his death in order to be reborn in the Pure Land," where he could "work towards enlightenment," they wrote. 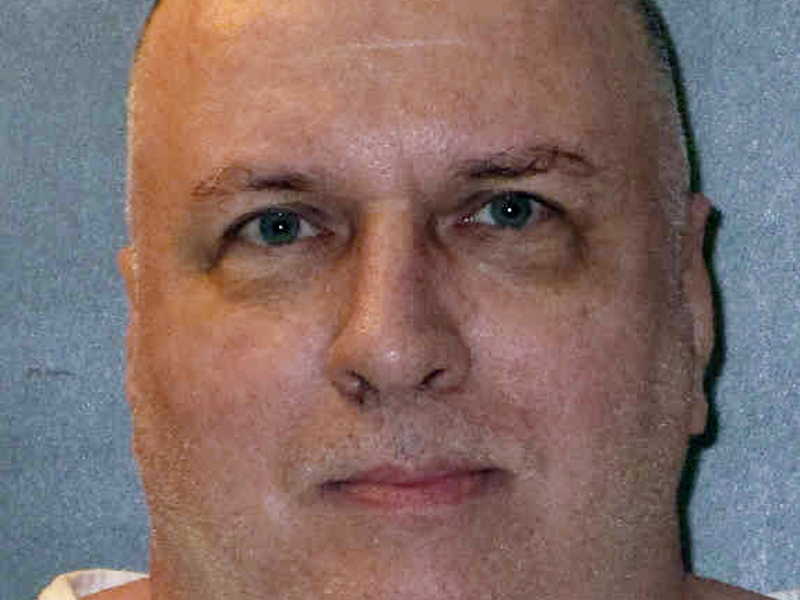 Having his spiritual adviser next to him at the moment of execution — or another Buddhist priest acceptable to the Texas Department of Criminal Justice — "will permit him to maintain the required focus by reciting an appropriate chant," his attorneys said. Murphy's attorneys made the request one month before the execution was scheduled. The Texas prison rejected it. "We do not permit a non-TDCJ employee [to] be present in the execution chamber during the execution," prison attorney Sharon Howell responded. She offered to let Murphy's Buddhist adviser observe from the witness room. But for security reasons, only the official chaplain — a non-Buddhist — would be permitted in the chamber, she said. The execution was scheduled for Thursday evening. In a 7-2 vote, the Supreme Court blocked it while his claim before the court went forward. Texas may not execute Murphy, the court wrote in its unsigned order, "unless the State permits Murphy's Buddhist spiritual advisor or another Buddhist reverend of the State's choosing to accompany Murphy in the execution chamber during the execution." Justices Clarence Thomas and Neil Gorsuch dissented, meaning they would have let the execution proceed. "The relevant Texas policy allows a Christian or Muslim inmate to have a state-employed Christian or Muslim religious adviser present either in the execution room or in the concurring adjacent viewing room," Kavanaugh wrote. Denying the same right to inmates of other religions constitutes "denominational discrimination," he said. "This is good news, but we can't forget this is the same court that denied a Muslim man the same right just last month," the ACLU said in response to the court's order. "The only real difference between Domineque Ray's and Patrick Murphy's requests to have clergy members of their own faiths at their executions is that Ray is a Muslim and Murphy is not. The Supreme Court's divergent rulings once again suggest that Muslims are not treated equally." The Ray case was a 5-4 decision along party lines. The court's conservatives cited the "last-minute nature" of Ray's request as the reason for letting the execution proceed; the four liberal justices called the decision "profoundly wrong." The Ray decision was criticized by commentators across the political spectrum. Writing in the National Review, David French said the court "failed to respect" Ray's constitutional protections "at the most crucial of moments." Slate's Dahlia Lithwick wrote that "for a court that cannot bear the thought of a religious baker forced to frost a cake in violation of his spiritual convictions to be wholly unaffected at the prospect of a man given last rites by a member of another faith borders on staggering." Legal observers welcomed Thursday's decision, even if they didn't fully understand how the underlying facts differed from Ray. Appellate lawyer Raffi Melkonian noted that the U.S. Court of Appeals for the 5th Circuit had rejected Murphy's appeal because Murphy had waited even longer than Ray to challenge the prison's decision. "I don't follow at all how this is different than the needless denial of a stay a couple months ago," he wrote on Twitter. "Anyway, good for scotus, but it's confusing." George Mason University law professor Ilya Somin said it was a "mystery" why Kavanaugh, Chief Justice John Roberts, and Justice Samuel Alito chose to stay the execution this time. But it was likely, he said, that "the justices saw the extremely negative reaction against their decision in Ray, and belatedly realized they had made a mistake; and not just any mistake, but one that inflicted real damage on their and the Court's reputations." UCLA law professor Eugene Volokh told NPR that the backlash "from scholars whose views the Justices respect" might have led the conservative justices to conclude they made a mistake last month. "And of course Justices should be open to changing their minds when they are persuaded that they were likely mistaken," he said. Somin said he was glad the court took a step toward "clearing up any confusion" on this issue. This case "sends a strong signal to lower courts about how such religious discrimination cases should be resolved," he wrote. "Lower-court judges will surely recognize that the Supreme Court does not want them to uphold such policies."